There are many ways to reach the Cinque Terre, but if you come from far away, the first part of your journey will surely be by plain. How to get there by flying in Liguria? Which are the nearest airports? How to reach the Cinque Terre and La Spezia from the closer and the main airports? 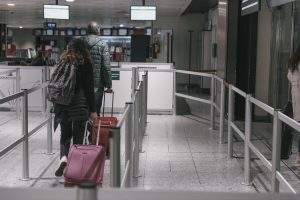 The two nearest airports are the "Cristoforo Colombo" in Genoa (https://bit.ly/2LvfuIV) and the Galileo Galilei of Pisa (https://bit.ly/2LbWRxm), certainly the closer and more comfortable, which are respectively 68 and 51 miles far from the city; from here, you can move using different kind of transport: train, shuttle bus, taxi, rent car. In addition to these, you can also consider the airports: "Guglielmo Marconi" of Bologna (https://bit.ly/2LBTOLr), the "Amerigo Vespucci" Firenze Peretola (https://bit.ly/1IgFSRn), the"Enrico Forlanini" of Milan Linate (https://bit.ly/2Dd0tX2) and "Il Caravaggio" of Orio Al Serio-Bergamo (https://bit.ly/2znABYc); the latter, in particular, is a reference for those who fly mainly with low cost companies. 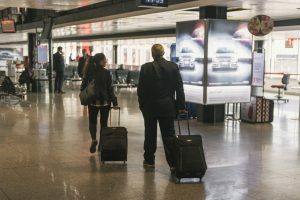 In these airports there are several flights from Italy and Europe; the intercontinental ones are rare: the most part of them, usually have for destination Milan Malpensa (https://bit.ly/2idICHM) and Rome Fiumicino (https://bit.ly/2KNdOgA); when it's possible and the company of your flight allows it, we advise you to choose the solution with final destination Pisa or Genoa and stopover in one of these two airports. From the Genoa "Cristoforo Colombo" airport: How to get to the Cinque Terre and La Spezia from the Genoa airport by car? - By car: you can rent a car by picking it up at the airport and arriving at La Spezia along a short section of the A10 motorway, then continue on the A12 motorway to the La Spezia-Santo Stefano exit; then drive along the motorway access road until you enter the city of La Spezia (via Carducci); same route if you go to the Cinque Terre (although we advise you not to reach them by car, unless you have a box or a reserved parking at your disposal) from Riomaggiore to Vernazza, with the addition of a stretch of the coastal SP 371. To get to Monterosso, however, you can take the same route on the A10 and the A12, exiting at the tollbooth of Carrodano-Levanto, to then enter the SP566 dir. How to get to the Cinque Terre and La Spezia from Genoa airport by public transport? - By public transportation: from Genoa airport, you can reach the two main city railway stations (Genoa Piazza Principe and Genova Brignole) by taxi (you can contact Radio Radio Taxi Genova - Gexi, phone 010-89333, site: http://5966.it/en/; Taxi Genova.it, phone 010-5966, website: https://bit.ly/2LovaRr and Prenotaxi, phone 010-77277, site: https://bit.ly/2uQOpIS) or by bus "Volabus" (https://bit.ly/2moWQrj). 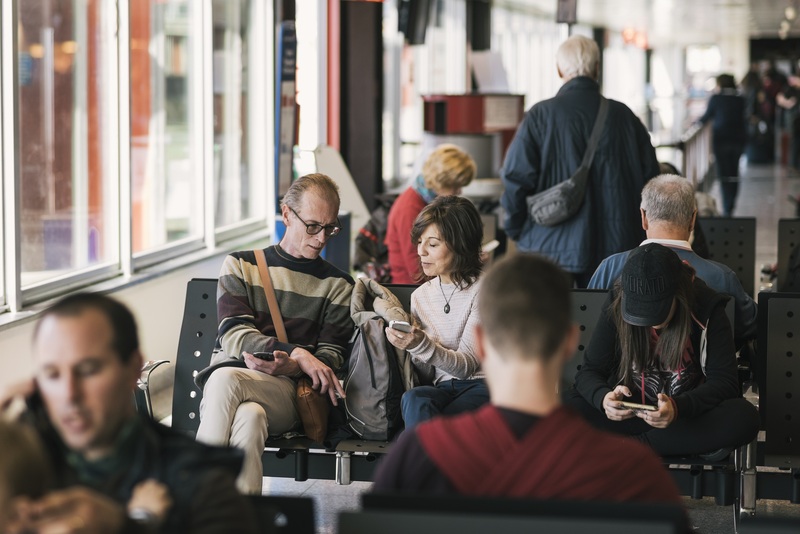 From the two stations, you can take the high-speed trains (Frecciabianca and Intercity) direction South (generally, Roma Termini and Livorno Centrale) and get off at La Spezia Centrale station. To go to Cinque Terre, in La Spezia Centrale you can get on a Cinque Terre Express train (take a look at our previous post: https://bit.ly/2rINFoy and https://bit.ly/2mviE4s); alternatively, from the stations of Genova Brignole (main) and Genova Principe, a regional (slower) train that will arrive directly at the Cinque Terre. From Pisa "Galileo Galilei" airport: How to get to the Cinque Terre and La Spezia from Pisa airport by car? 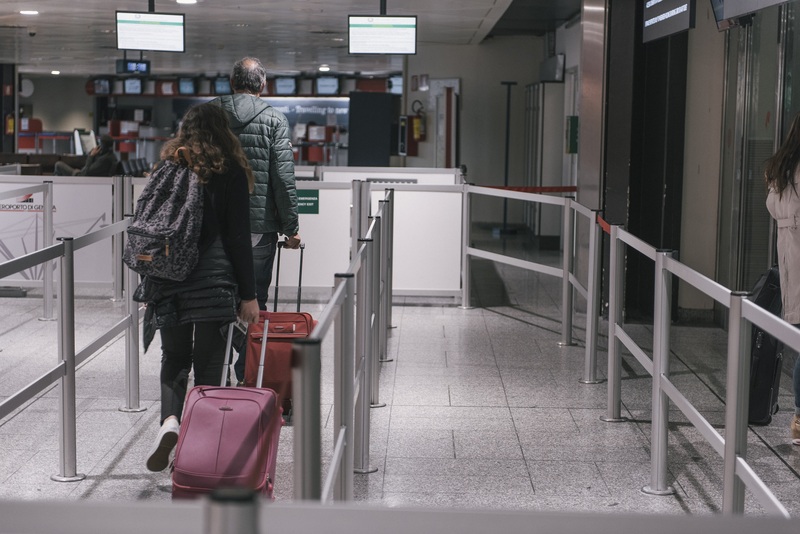 - By car: it's possible to rent a car by picking it up at the airport and arriving at La Spezia by taking the A12 highway, direction North (La Spezia-Genoa), after driving for a short stretch of the FI-PI-LI expressway towards Pisa. You will have to exit the La Spezia-Santo Stefano tollgate to get to the city, after having covered the motorway junction that will take you to Via (street) Carducci; in case the final destination is one of the Cinque Terre from Riomaggiore to Vernazza, you have to use the SP 371 coastal road. If you are going to Monterosso, instead, continue until the tollgate of Carrodano / Levanto and then enter it in SP 566 dir. Attention: there are few parking available in the Cinque Terre, we advise against using private vehicles if you do not have a parking space or a box already booked. How to get to the Cinque Terre and La Spezia from Pisa airport by public transport? 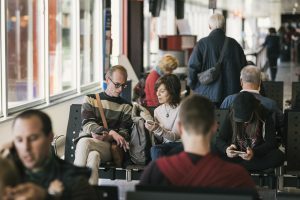 - By public transportation: from the Airport Station, in front of the "Galileo Galilei" exit, leaves the shuttle Pisamover (https://bit.ly/2JBX9YN), which will take you directly to Pisa Centrale train station. From here, you can take high-speed or regional trains to La Spezia. Once you get off at La Spezia Centrale station, passengers to the Cinque Terre can take a Cinque Terre Express train (take a look at our previous post: https://bit.ly/2rINFoy and https://bit.ly/2mviE4s). Arbaspàa tour operator organizes private transfers, also with staff English speaking, from the main Italian airports to the Cinque Terre, La Spezia and the main holiday resorts of the Liguria di Levante and Alta Toscana: write to info@arbaspaa.com to ask a quotation. A special thanks to the Genoa's Cristoforo Colombo's airport which provides us the pictures.